Per Collider, “Zanbato centers around a young girl (between 10-15) with lethal fighting skills.” Though there isn’t much else to it than that, a simple Google search reveals that Zanbato is a Japanese word for “horse-slaying sword” or “horse-chopping saber.” It is an especially large, single-edged sword dating to the Heian period of historical Japan. It’s a sword that has also been popularized in numerous animes and mangas. But whether or not it will take place during that era remains to be seen. 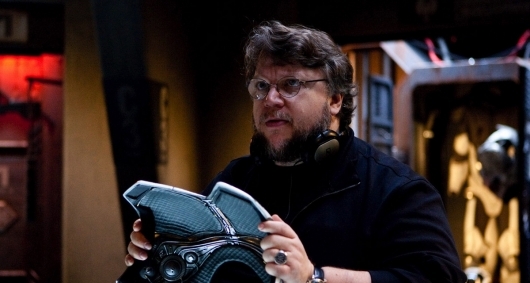 One thing we do know is that it will be exciting to see del Toro and Abrams collaborate on such a project. As for the ninja confusion, del Toro took to Twitter to say that it isn’t a ninja movie, specifically. However, he did follow that up by saying there will be ninjas in it. It’s going to be a while before we see this project come to fruition considering that del Toro and Abrams are already working on projects. As aforementioned, del Toro is currently busy with the live-action Pinocchio, which will be able to be seen on Netflix. He’s also one of the screenwriters and producers for CBS Films’ Scary Stories To Tell In The Dark. As for Abrams, he’s off doing some little thing called Star Wars: Episode IX. And who knows what that is even about. It doesn’t even have a title. Joking aside, he’s also working with Jordan Peele on HBO’s Lovecraft Country. So this is a pretty exciting project to look forward to, and you can be sure that we will be keeping our eyes on it as soon as more news on it comes in.